When finding competitors for Hop Chef, it only made sense to have our sister brewery and oldest original brewpub in America on the roster. Triple Rock Brewery & Alehouse has been serving students and professors alike in Downtown Berkeley since 1986. They are celebrating their 30th Anniversary this year with a state-of-the-art earthquake-proof expansion into the space next door. Amid construction, Brewmaster Jeff Kimpe and Brewer Mike Moroney have been working hard to keep up with demand, as well as taking the time to brew for our competition. With that background, Jeff and Mike have decided to brew Hello Hibiscus. “It’s a hibiscus ale. It’s its own style,” Mike informed us, “If people can’t taste the flower, we haven’t done our job.” They’re using 100% Pilsner malt, the lightest they could find, and a minimal hop presence to start with the blankest canvas possible. That way, the hibiscus should really show through. As for the name? 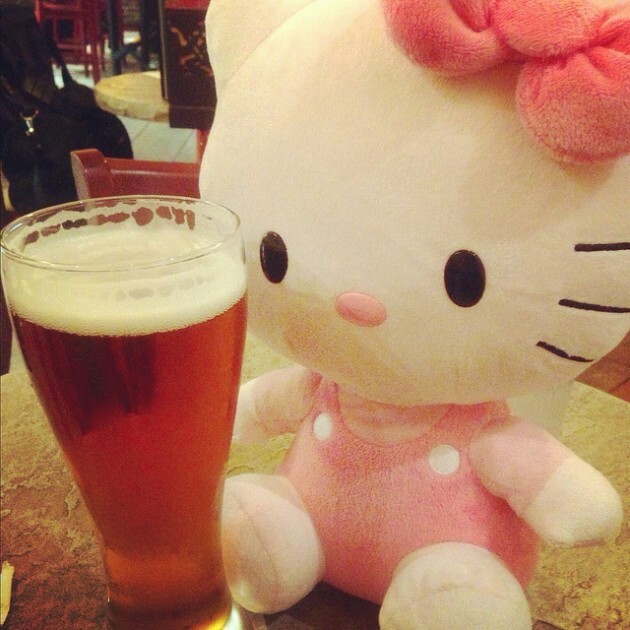 “The color and the idea behind this beer had us thinking of Hello Kitty and the name just stuck,” Jeff laughs. Will this pink lady win it all on April 16th? Get your tickets today for a day of music, food, and guaranteed tastes of all 16 unique brews, as well as voting tokens to help us choose the Champion Hop Chef Brewer!